In researching locations for other movies, I came across this stretch of road which I believe is used for the opening sequence. I am not 100% sure, but it looks very similar. This is the road surrounding the Franklin Reservoir in Los Angeles. Up further on the same road, Maggie and John make their way around this bend on the way to Springwood. This was also used in Friday the 13th: The Final Chapter. The clocktower is located on the USC campus. The kids drive through this intersection many times, located at Agnes Avenue and Woodbridge Street in Studio City. 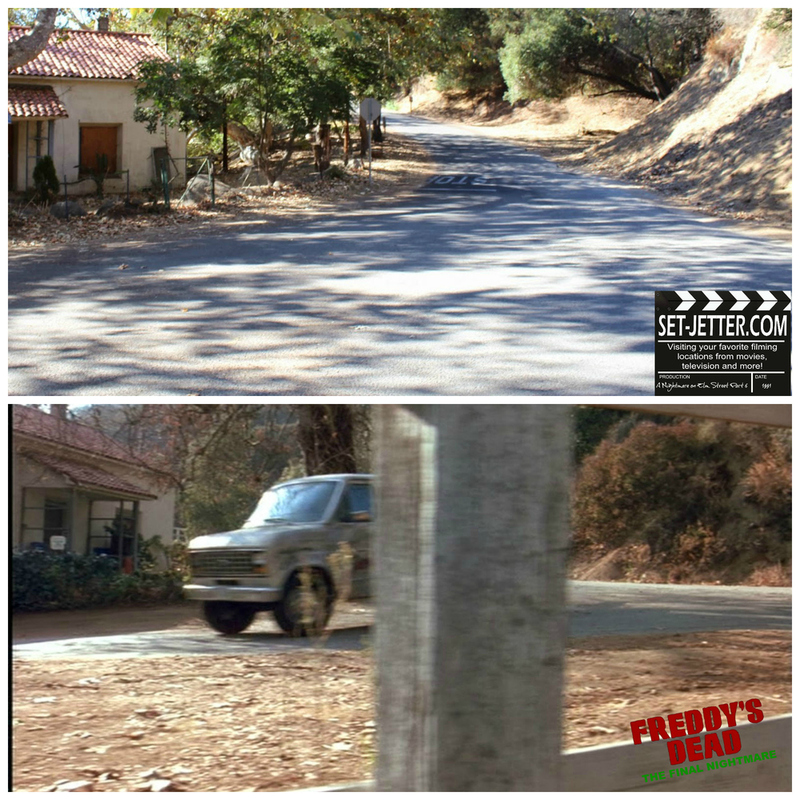 They also drive by the house at 4239 Agnes Avenue in the second shot. The town the kids keep driving through is actually Universal Studios. 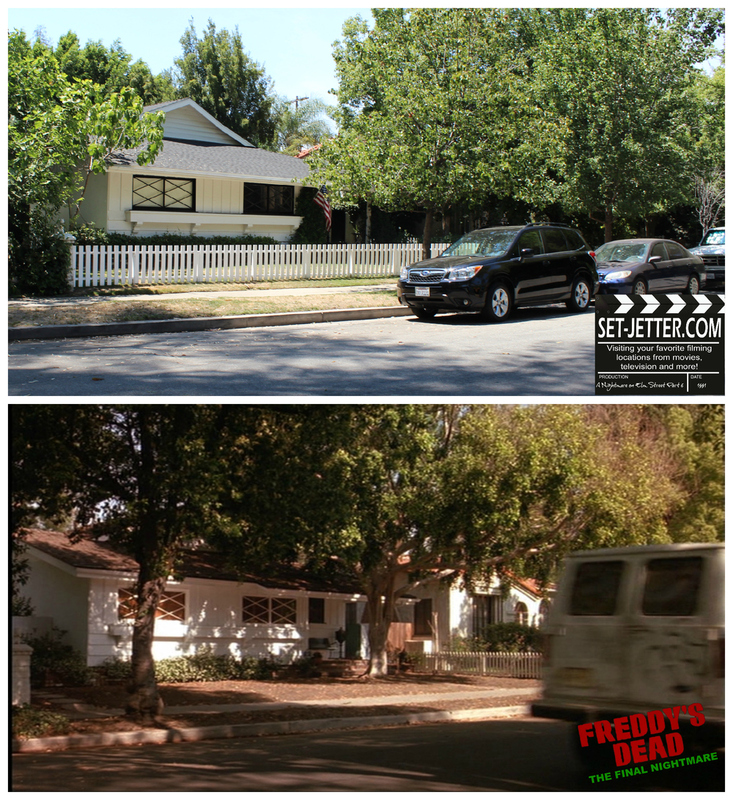 This particular area was Colonial Street and eventually was torn down and became part of Wisteria Lane from Desperate Housewives. I could only find my one picture of the church, but I did have video from my 2001 visit, hence the crappy VHS screencaps. 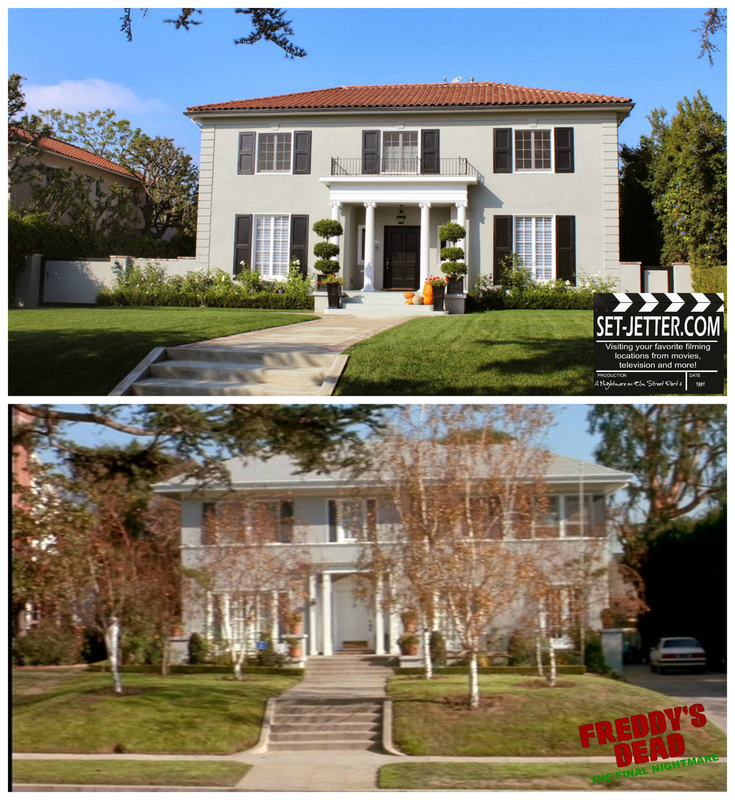 The house the kids crash in has changed many times, and eventually became Bree Van de Kamp's home. I took this picture from thestudiotour.com to show what the house looked like at one point. Fellow set-jetters Chris Carbaugh and Stacy Lee confirmed that the water tower was located in Artesia, California! Unfortunately, the Krueger house has since been torn down, but here is what the house looked like at the time. It was located at 18408 Clarkdale Avenue in Artesia, California. These shots were taken from a realty page. In one dream, John Doe wakes up in a regular neighborhood. Here are the houses he sees across the street in this Los Angeles neighborhood. 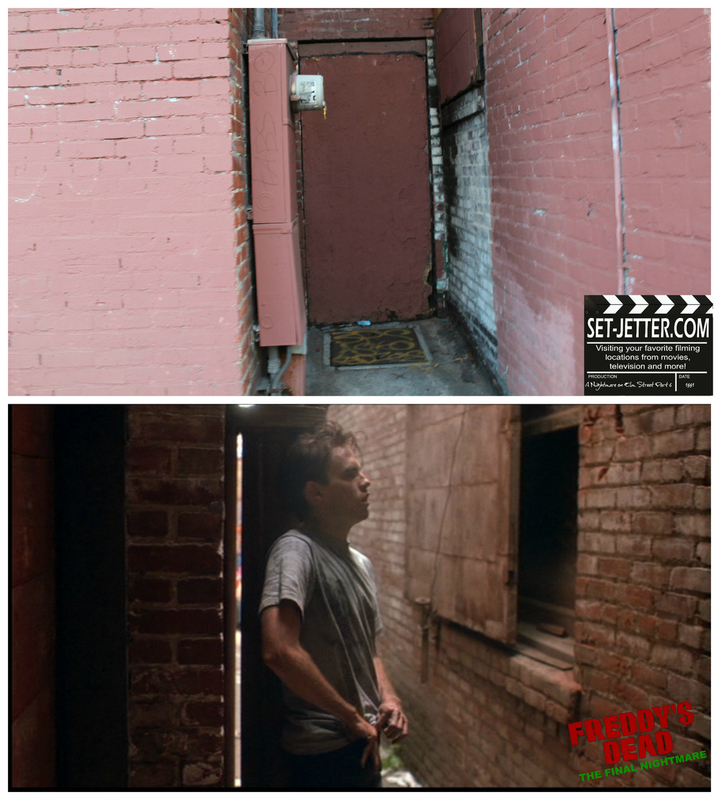 I was finally able to track down the "youth shelter" from the film in 2014. This is the exterior to the Lacy Street Studios, located at 2630 Lacy Street in Los Angeles. I've been fortunate to meet some cast members over the years. I also included a coupe pictures of props that I saw at a convention.